Research involvement is an important part of undergraduate education at the University of Iowa. Students in all disciplines benefit from being a part of the scholarly work of our faculty and staff. These opportunities provide undergraduates with hands on experience as they prepare themselves for graduate or professional training. Outstanding programs and mentors abound at Iowa for students as they begin to sample possible career paths and many undergraduates make research a focal point of their academic training. The Iowa Center for Research by Undergraduates (ICRU) promotes undergraduate involvement in mentored research and creative projects at the University of Iowa. They work with students, faculty, and staff from the arts, humanities, natural/physical sciences, social sciences, health and medicine, engineering, and business. The Iowa Center for Research by Undergraduate (ICRU) Fellows program encourages the direct involvement of undergraduate students in the scholarly efforts of faculty by providing financial support for a student involved in research. Scholarship funding for selected applications is in the amount of $2,000 (for about 5-10 hours of work per week) for the academic year or $2,500 (for about 20 hours/week of work) during the summer. Excellence in Undergraduate Research Awards (EURA) recognize outstanding accomplishments in scholarly investigation, artistic creation, or performance by an undergraduate student in the Arts and Humanities, Mathematics and Engineering, Natural Sciences and Social Sciences. Recipients receive a $1000 travel allowance to attend a conference in their area of study. Summer Undergraduate Research Program (SROP) (Graduate College) is a program to expose talented undergraduates to professional and educational opportunities in the academy. The goal of the program is to increase the number of underrepresented students who pursue academic careers by enhancing their preparation for graduate study through intensive research experiences with faculty mentors. The Graduate College also sponsors the Summer Undergraduate Research Conference. Iowa Biosciences Academy (IBA) program The mission of the Iowa Biosciences Academy (IBA) program is to identify academically talented undergraduate underrepresented students with aspirations for a research career and provide them with first-rate training that will facilitate their entry into Ph.D. programs in the biomedical, behavioral, and biophysical sciences. Summer Research Experience for Undergraduates (REU) in Microbiology seeks to foster the careers of the next generation of microbiologists. They provide an intensive 10-week research experience for bright and ambitious undergraduates who are considering a PhD in microbiology or an allied discipline. College of Liberal Arts & Sciences Undergraduate Funding, which awards 70% of the University's undergraduate degrees, is committed to promoting the opportunities for faculty and students to collaborate in research. Summer Undergraduate MSTP Research (SUMR) Program offers an intensive experience for undergraduates interested in combined MD/PhD training for a career as a physician-scientist. Interdisciplinary Summer Undergraduate Research Program is designed to allow students to tailor their summer training to their own research interests, while providing a broad foundation in their area of concentration. This unique program provides research opportunities in the laboratories of faculty in Genetics, Immunology, Molecular & Cellular Biology, and Neuroscience. Free Radical & Radiation Biology Summer Program is designed to allow students to tailor their summer training to their own research interests, while providing a broad foundation in their area of concentration. 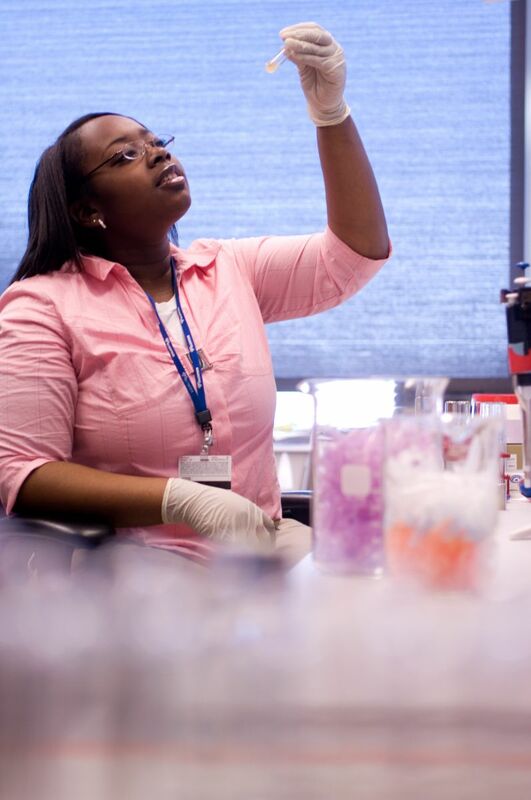 This unique program provides research opportunities in the laboratories of faculty in the Free Radical and Radiation Biology Graduate Program. 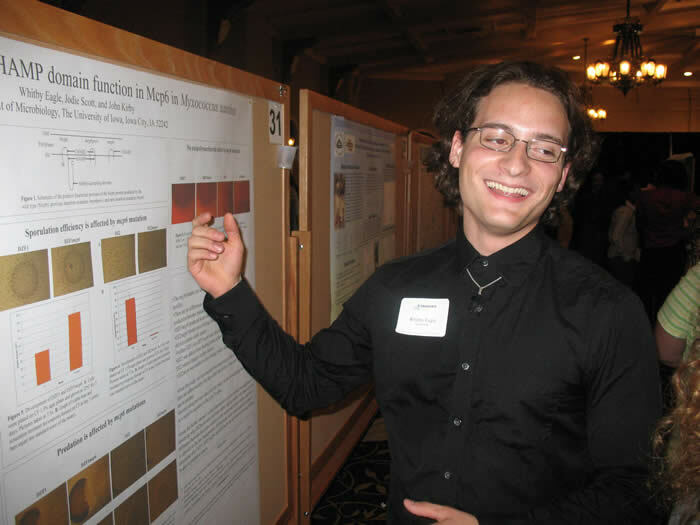 Biochemistry Summer Undergraduate Research Fellowships is an eight-week program for college undergraduates providing research experience in structural, biophysical and molecular biochemistry, supervised by department faculty. Nanotechnology REU program will provide approximately eight undergraduate students with research experience in cutting edge topics related to environmental and health aspects of nanoscience and nanotechnology. Undergraduate Scholarships for Study Abroad is the most tangible expression of the UI’s commitment to increasing the number of students who study/conduct research abroad.